Newcastle v Wigan 2011 – what the managers say | NUFC Blog. Archive for tag: Newcastle v Wigan 2011 – what the managers say. 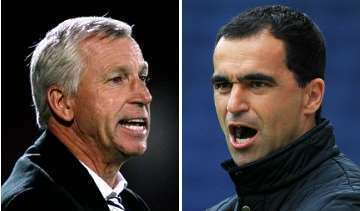 Pardew vs Martinez - Let battle commence! Hello and welcome to my review of what the managers are saying in the run up to today’s fixture, with Newcastle United facing Roberto Martinez’s Wigan.